The Worth Family may be well known for the Worth Manufacturing Company, which produces fishing tackle components for tackle manufacturers, but UWSP alumni Robert (Bob), and Marilyn Worth are also known for their philanthropy and volunteerism. A past president of the UWSP Foundation Board, Bob is now an Emeritus Board member, and is an active participant. He was previously honored with the 1982 UWSP Distinguished Alumnus award and the 2002 Hansen Distinguished Service Award. Bob and Marilyn’s son David Worth also received the UWSP Distinguished Alumnus Award in 2005. Bob and Marilyn stay active volunteering within their community. Marilyn, who has volunteered for many years throughout the community, said, “One of the things about volunteering is that you meet so many wonderful people. You meet people who become your friends forever.” Marilyn also has a soft spot in her heart for the University Museum. She has volunteered at the museum and has served on the museum board for 10 years. The Worth company also supports the university by creating several endowments and scholarships. Among those are the Worth Company Fund for the College of Natural Resources, Worth Fisheries Endowment, Worth Communication Endowment, and Worth Jazz Development Scholarship. 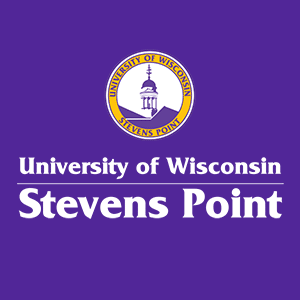 The Worths emphasize that UWSP allows people in this community to see and do things that may not have been otherwise available, such as concerts and other university events.